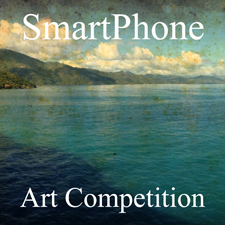 Light Space & Time Online Art Gallery announces a call for entries for the gallery’s 1st Annual “SmartPhone” Juried Art Competition for the month of March 2014. The gallery invites all 2D artists to make online submissions (with mobile based media only) for possible inclusion into the Gallery’s April 2014 online group exhibition. The deadline to apply to this art competition is March 27, 2014. Winners of the "SmartPhone" Art Exhibition will receive extensive worldwide publicity in the form of email marketing, 70+ press release announcements, 75+ event announcement posts, extensive social media marketing and distribution, in order to make the art world aware of the art exhibition and in particular, the artist’s accomplishments. There will also be links back to the artist’s website included as part of this award package.